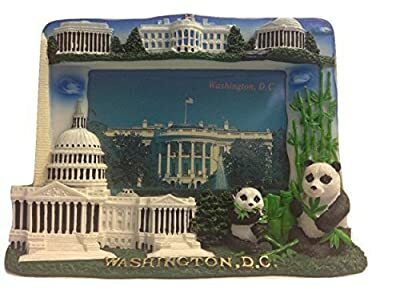 3 D picture frame with Lincoln Memorial , White House, Jefferson Memorial, Washington Monument, Capital Building, small Panda and large Panda. 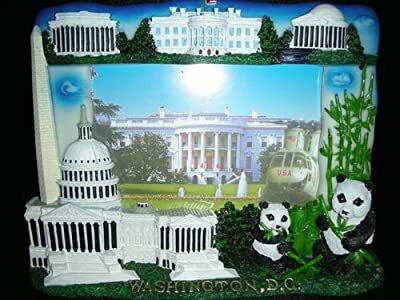 3D picture frame with Lincoln Memorial, White House & Jefferson Memorial on Top Washington Monument, US Capitol & Two Panda Bears to represent National Zoo Washington DC Souvenir Made of Painted Resin. 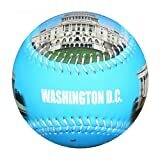 It holds a 6"x 4" Photo.